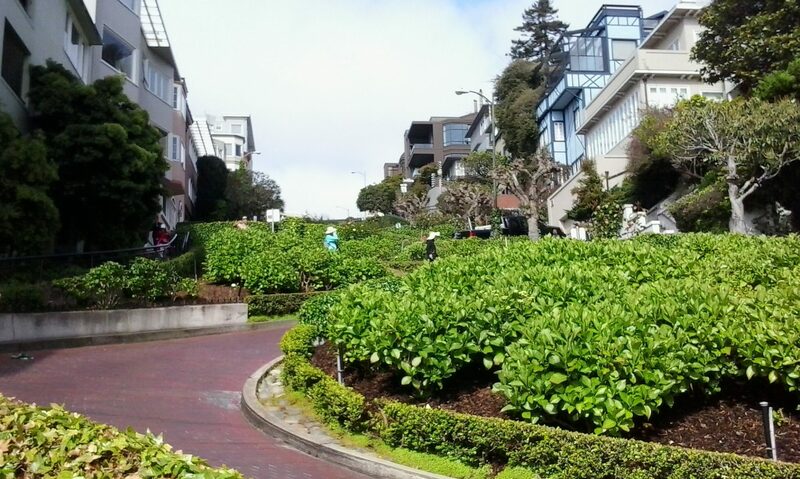 We drove down Lombard Street in a little tiny vehicle. Wow! Was that scary! It took away my breath it was so steep. Once was enough for me. My knees and ankles would no doubt protest, but i’d lov3 to walk this some day. Well, that’s weird. And, it was such a brilliant comment too😄. I think it was something like… “We were there around Christmas time last year and enjoyed that same walk and incredible views. I never get tired of that magical city”. If you look in your comments trash you might find it. A lovely walk btw – one I wouldn’t attempt having been caught out on Russian Hill before!! Thanks for the hint, Hey! Suddenly, I’m in the mood for sourdough! That was an exciting walk Susan! Particularly as it didn’t feel it in my legs 🙂 I looked carefully at your pictures and I think that I walked right there in 1987 with hubby (Oh, I must be old!) when we visited the US together for the first time. Brought back beautiful memories. Anita – San Francisco has been such a touchstone for me. But I had never spent more than a couple nights in the City, so this week’s visit was a real Event. I went from falling in love all over again with this place, to thinking I’d be content to call this my last visit. I do believe it’s really one of the world’s icons, a unique place, just as you said.